From time to time CrossFit creates a new WOD that is a step above all the rest. These are called Hero WODs. They are named after Heroes who have given their lives in the line of duty. Every time we perform a Hero WOD is an opportunity to think outside ourselves and push a little bit harder for those that put themselves in harm’s way for us. 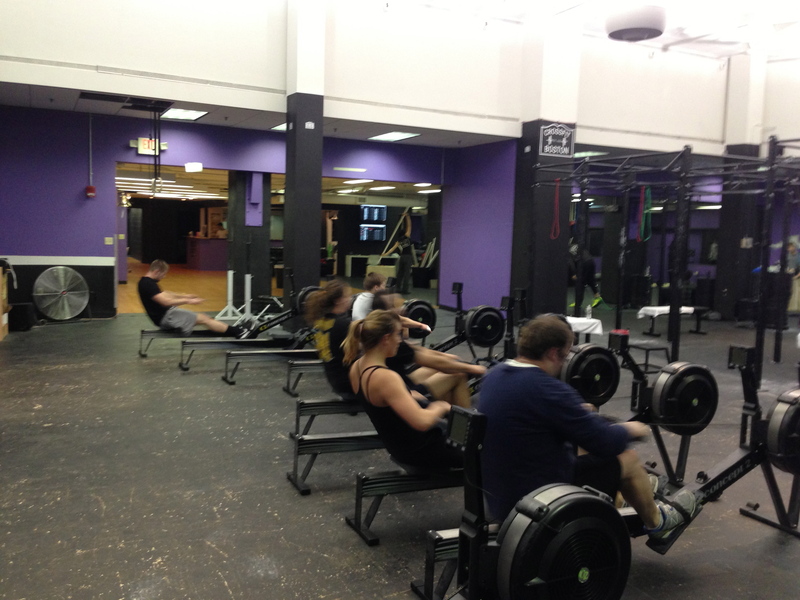 Today’s Rowing WOD is one round of an awesome Hero WOD named Hamilton. We will be building up and performing one more round each week over the next few weeks to push ourselves harder, execute our rowing, and honor Hamilton. Your focus should be to push the pace on the running, push ups, and pull ups so that when we perform the full workout they won’t slow you down. Figure out how you’re going to game each movement to get through it the fastest. On the 1k Row I would like to see everyone execute the first 1k of your 2k race plan. We will be testing our 2k this weekend and today is a great opportunity to build some confidence and hit the splits you plan to hold during the race. Start quick and light, settle with breathing, and execute every stroke with balanced power. Stay strong mentally and physically. Post your time and average split for the 1k Row to comments. Below is the full workout we will be working up to over the next three weeks. U.S. Army Specialist Adam Hamilton, 22, of Kent, Ohio, assigned to the 4th Squadron, 4th Cavalry Regiment, 1st Brigade Combat Team, 1st Infantry Division, based in Fort Riley, Kansas, died on May 28, 2011 in Haji Ruf, Afghanistan, of wounds suffered when enemy forces attacked his unit with an improvised explosive device. He is survived by his father Scott Hamilton, step-mother Connie Hamilton, mother Nancy Krestan, brothers Brandon Hamilton and Nick Kristan, and sisters Shawney and Taya Hamilton. This entry was posted in Fitness, Rowing, Strength and tagged endurance sports, functional movements, mental toughness, new sport, row 2k, rowing, sports, training by Renegade Rowing. Bookmark the permalink. At this point I was about dead. I had to use some assistance to help me get up. Took 30 sec breaks every 10. Overall, Great workout as always. Love the workouts and love the blog. Thank you for all your hard work. Look forward getting bigger, faster, stronger. Awesome Paul! Thanks for sharing! Keep up the good work. Row BIG!